Do you shake your head in disbelief when those who deny global warming refuse to acknowledge scientific facts? 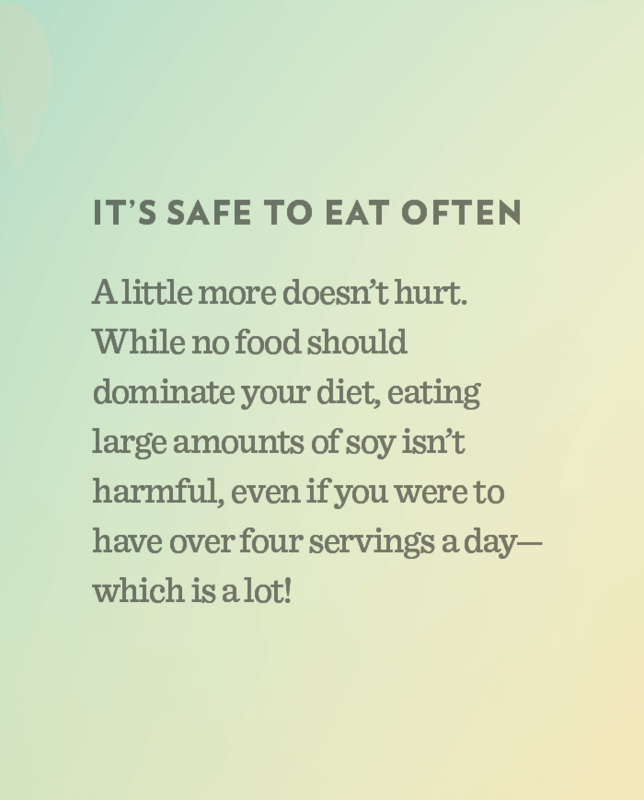 Do you believe that soy benefits and safety are suspect? Well, you may believe climate change is real, but you, my friend, are a SOY DENIER! Sorry, you can’t have it both ways. Don’t get upset about people who discount evidence of global warming if YOU are going to discount the facts about soy. If you’re going to bemoan anyone who refuses to accept the overwhelming science behind the causes of global warming, then you’re going to have let go of all those soy myths. To deny the benefits and safety of soy is to deny the overwhelming science behind both. Read on…and also see this quick video. 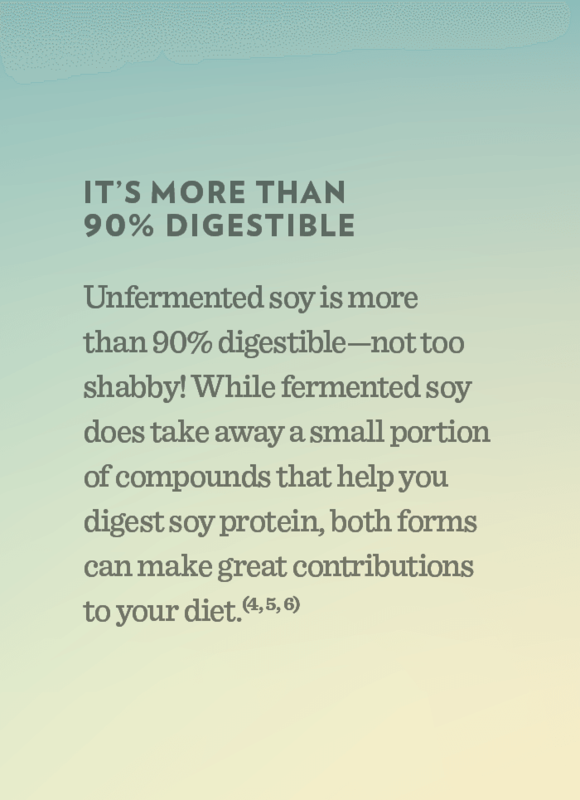 Soy is the perfect plant-based protein—it contains all 9 essential amino acids. The soybean is native to East Asia and is known mostly as an alternative to meat and dairy proteins. 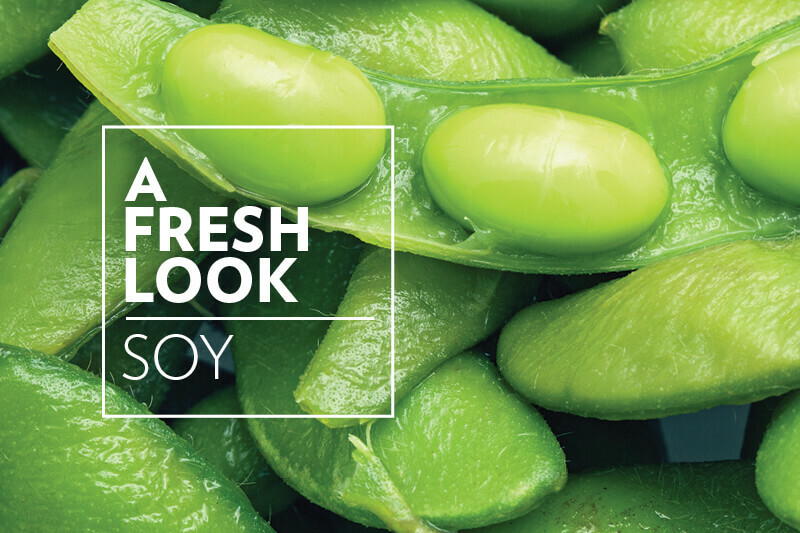 Soy has been a part of Asian diets for thousands of years—and for good reason. Today it is used worldwide because of its health benefits and many uses. 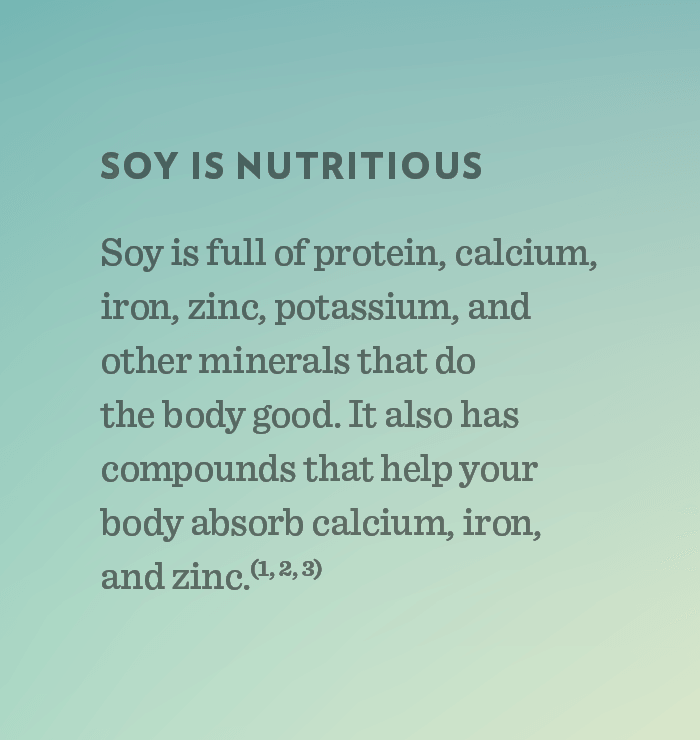 Soy is the richest source of isoflavones that may help protect against several chronic diseases, including osteoporosis, coronary heart disease, and certain forms of cancer. Lonnerdal B, Bryant A, Liu X, Theil EC. Iron absorption from soybean ferritin in nonanemic women. Am. J. Clin. Nutr. 2006, 83, 103-7. Heaney RP, Weaver CM, Fitzsimmons ML. Soybean phytate content: effect on calcium absorption. Am. J. Clin. Nutr. 1991, 53, 745-7. Wakai K, Egami I, Kato K, Kawamura T, Tamakoshi A, Lin Y, Nakayama T, Wada M, Ohno Y. Dietary intake and sources of isoflavones among Japanese. Nutr. Cancer. 1999, 33, 139-45. Somekawa Y, Chiguchi M, Ishibashi T, Aso T. Soy intake related to menopausal symptoms, serum lipids, and bone mineral density in postmenopausal Japanese women. Obstet. Gynecol. 2001, 97, 109-115. Zhang X, Shu XO, Gao YT, Yang G, Li Q, Li H, Jin F, Zheng W. Soy food consumption is associated with lower risk of coronary heart dis ease in Chinese women. J. Nutr. 2003, 133, 2874-8. Savage JH, Kaeding AJ, Matsui EC, Wood RA. 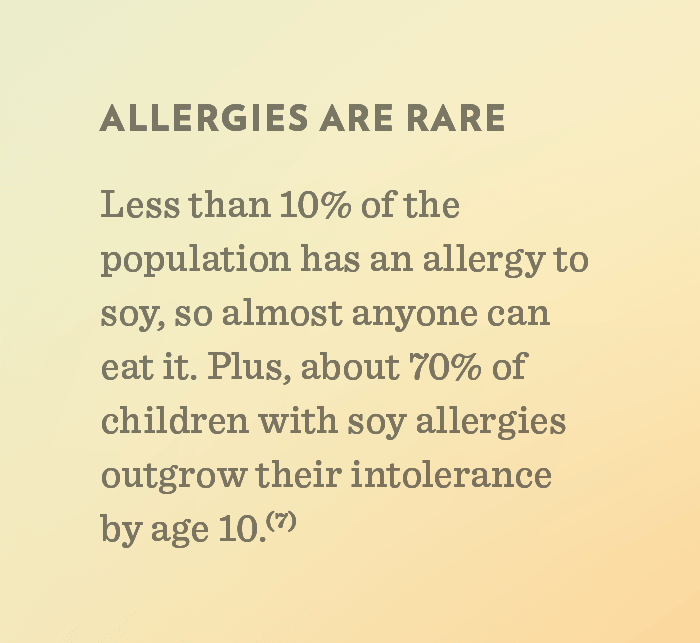 The natural history of soy allergy. J. Allergy Clin. Immunol. 2010, 125, 683-686. Hamilton-Reeves JM, Vazquez G, Duval SJ, Phipps WR, Kurzer MS, Messina MJ. Clinical studies show no effects of soy protein or isoflavones on reproductive hormones in men: results of a meta-analysis. Fertil. Steril.2010, 94, 997-1007. Caan BJ, Natarajan L, Parker BA, Gold EB, Thomson CA, Newman VA, Rock CL, Pu M, Al-Delaimy WK, et al. Soy Food Consumption and Breast Cancer Prognosis. Cancer Epidemiol. Biomarkers Prev. 2011.